Somewhere in the beginning of 2000 a new band created in Belgium guided by a Greek originated person, Kostas. In the beginning there was something like dark synth music and after PANTHEIST moved into the solitude and rusty paths of Doom. In the twilight of 2001 the first demo recorded named 1000 Years which was re - released five years after via Serpent's Lair Productions together with two more songs and re - named as The Pains Of Sleep. In between, the line -up changed sometimes and after the band's contract with Firebox two full - lengths saw the light, O Solitude and the very good Amartia dealing with a strange concept of a man practicing and doing all the seven deadly sins in order to reach and feel the presence of the divine. The last album of the now based in United Kingdom Doomsters continues the exploration of funeral Doom having once again excellent lyrics. 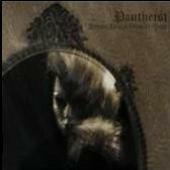 It would be a very limited description to just tell that PANTHEIST is a Doom Metal band. Basically there is a base into this music but there is a plethora of influences, giving them a clear identity. Their songs are mostly based upon keyboard themes, the vocals varied between clear ones and deep stomach throats. In order to give you a clear description I think it's better to dive a bit more and in each song separately. As Journey Through Lands Unknown starts, you hear a train that leaves forâ€¦, who knows, maybe your inner personality. Deliverance starts slow, almost like you are inside a dream, focus in a PINK FLOYD psychedelia or a Kraut Rock painted universe. That will change into a deep, heavy Doom thing, like something evil and cruel invades this dream I was previously talking. The lyrics are great, maybe a little allegorical, following the mood of the song and vice versa. Unknown Land on the other has an astonishing vocalic intro, reminding Byzantine chants. Ideas coming straight from East regions and then something like a tribute for CELTIC FROST. Dum Spiro Despero (great title eh?) has seventies bands touch inside and a bass line very, very close to REVEREND BIZARRE. These three songs are capable to originate not only deep thoughts to any of you but also to create a veil of pure darkness, melancholy or pessimism around. Haven is instrumental, having a divine melody and will ease your pain before the coming of Oblivion. Well, the title describes perfect what's going on. The best track is probably the Loss Of Innocence. The main melody cannot be described you just have to hear it. I feel it's based upon Greek traditional music that after it you will meet some keyboards played tunes that reminded me something like Peruvian folklore! All these are a perfect substratum and above it unfurl a Doomy holocaust. Once again the lyrics here are awesome, the song is the ultimate mourn a soft caress for all this pain that life brings a collision of melancholy and despair together with hope and indispensability for it. The only track I found mediocre was Eternal Sorrow, it's a little boring. The ending, are psalmodies, based upon Buddhist recitations that will lead you to DEAD CAN DANCE and things like that. As you can see from the above, there are a lot of things included in PANTHEIST musical tessellation. Except that, is one of a very few bands that manages to travel my mind and my senses to realms of purity and catharsis like WHILE HEAVEN WEPT's music. That shows major devotion and real art.